RAF 31 Squadron unveils a Tornado GR4 in special color scheme. The Royal Air Force (RAF) will transfer its final two Panavia Tornado GR4 units to new types, as it will retire the aircraft from service in the coming months. The 9 Squadron and 31 Squadron will be re-roled to the Eurofighter Typhoon and Protector RG.1 unmanned aerial vehicle (UAV) respectively. 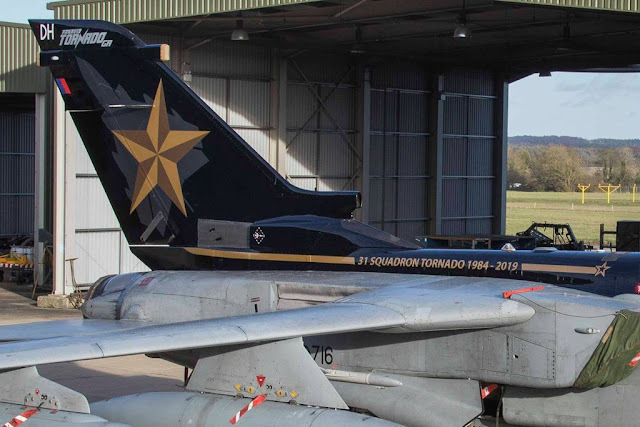 The RAF currently has approximately 40 Tornado aircraft still in service, with the last of these set to be retired in early 2019. 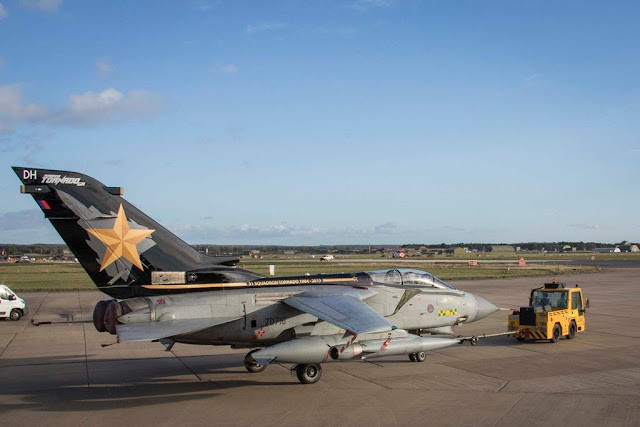 The 31 Squadron "Goldstars" at RAF Marham will be the last of the two units to be stand down, early 2019, and will be reformed as the service’s first Protector unit at RAF Waddington. The Goldstars have operated the Tornado since 1984, initially in Germany and then from RAF Marham since 2001. 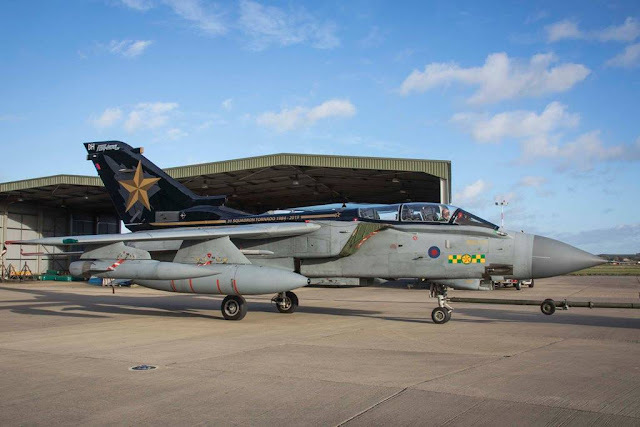 In order to celebrate the last acts of the iconis aircraft, the Squadron painted a Tornado GR.4 with a special color scheme. The aircraft received a black tail with a Tornado and a yellow star painted on it, the symbols of the unit.